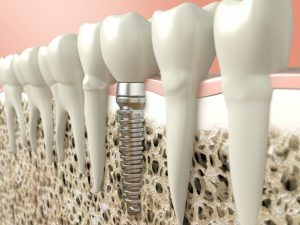 How Much Do Dental Implants in Temple Cost? If you are among the 178 million adults in the United States who are missing at least one tooth, you are probably searching for the perfect option to regain a complete smile. Dental implants are the solution to your problem. When compared to other forms of dental prosthetics, they permanently replace your missing teeth while offering over a 95% success rate. While their benefits are quite diverse and unsurpassed by other tooth replacement options, they do tend to cost more than traditional methods, like dentures. At Pazmino Dentistry, we understand your concern about the affordability of dental implants in Temple. We have the information you need to understand the cost of the procedure.